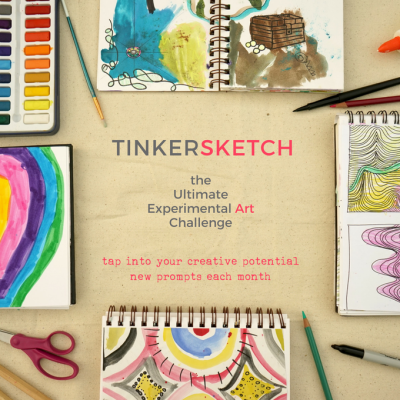 oooh, this looks beautiful and inspiring! i haven’t made play dough in quite a while, since becoming a gluten-free house last summer. gf flours are spendy! maybe i’ll go out and get some gluteny flour specifically for this and hope there’s little contamination in the kitchen. any other gf families have tips for this? Such a good question! I often check in with an online Reggio forum, and this question just came up. The teachers were saying that the gluten-free doughs often come out crumbly, and recommended going straight for clay instead. 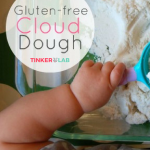 If someone has a gluten-free recipe that works, it would make so many people happy! I’ll post a query on my FB page. Any tips for not staining hands? Maybe I put too much food coloring??????? Thanks so much! Such a great idea!!!! Thanks so much! I tried and worked pretty good! I included a little of the Kool Aid to give a good smell! Great! use baking powder and scrub your hands in it.. it will manage the stains.. whenever my students hands got stained with color, that’s what i use to wipe the stains away.. good luck! thanks rachelle! i reposted your wonderful blog entry on my fb page this morning with the same query. hopefully we’ll find a gf option… or just brave it with the wheat flour and hope for not too much dust…? Love it! I love how bright your colors came out too! When you smoosh them all together, did they become brown or just swirly rainbow? Wouldn’t that be cool if they stayed in a swirly rainbow?! They swirl at first, but if you really smoosh them up good, they ultimately come to create a muddy lavender color. Oooh, first crockpot play dough, and now microwave play dough. There are so many possibilities. Thank you so much for sharing this recipe! Love the colours! Thanks for the tip re: Wilton colours. 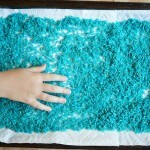 Here’s another tip… mixing in some dry ‘kool-aid’ gives it a wonderful scent as well as color. Ah your playdough looks fabulous! My son just saw it and said “I want to make playdough now”. Note to self: look at Kids Get Crafty link ups without the toddler!! 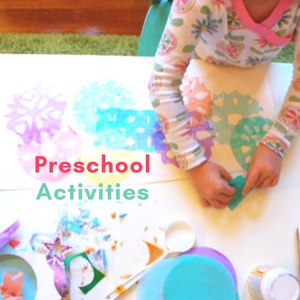 Thanks again for sharing a fab craft and activity!! I think we will be making some…. What beautiful playdough. I think we’ll just have to try out this recipe. I love the idea of rainbow colors for St Patricks Day! So sweet. I’ve never met a kid that doesn’t LOVE playdough! I love the colors!! So pretty. I’d love to have you link up to my For the Kids Friday Link Party! Stop on by!! 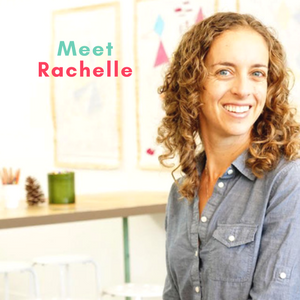 Thanks for the invitation, Rachel. I’ll pop right over. 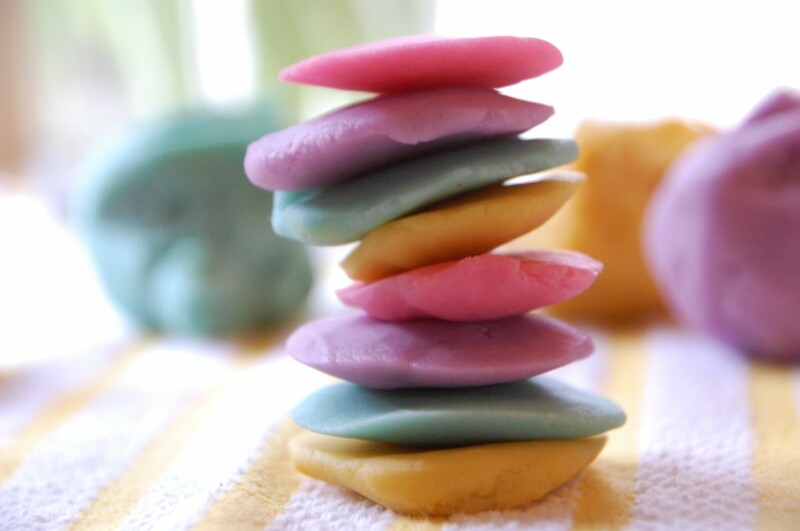 Very unique play dough idea! 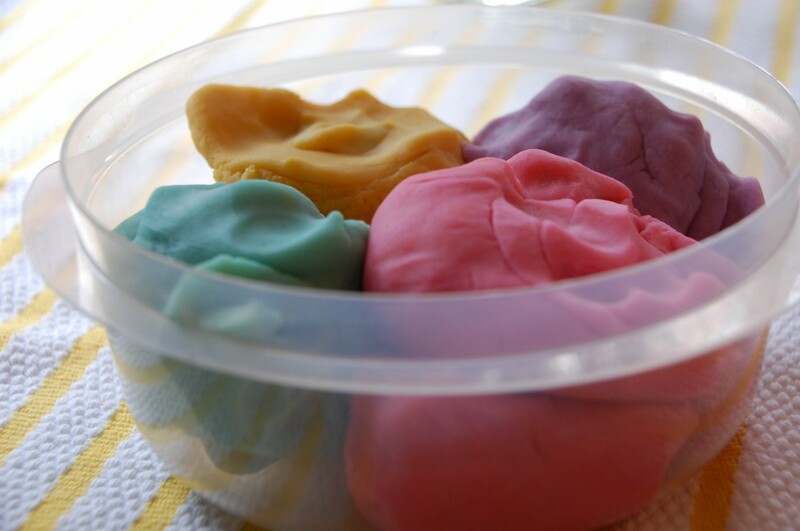 I use this recipe for play dough but as well as the food colouring I use a little food essence e.g peppermint with green colouring, strawberry with red, coco with brown etc it makes a lovely sensory activity, I have also use ready made poster paint instead of food colouring to make really vivid colours. Mmmm, I can imagine the smell of your yummy play dough. We also added a bit of vanilla to this batch, which I failed to mention in the post, probably because it was pretty mild and didn’t make a huge impact on my senses. You’re giving me a great excuse to pick up some other food essences. I’ll have to try that next time around! Thank you so much, Darcey. How flattering! I love this! 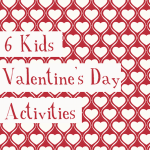 I am having my first ever linky party for kids activities and I would LOVE if you would come link up this project! Hope to see you soon! i tried another recipe that was made in the microwave. It was very time consuming and did not work. I then searched for another recipe and came upon your blog. This was so simple and easy and turned out so good. Thank you. We had a lot of fun today with this. I’m so glad to hear this! It’s such a good recipe. This is a lovely recipe, but I ran into some technical trouble with the color. Our budget allows us the generic supermarket brand of food color, and I tried (on a request) to make it purple. Now the entire bottle of blue and red left me with a lump of grayish purplish color. How could I correct it and how long do I have? So, it looks like you’ve discovered the little known play dough color theory secret of red + blue = grey. Crazy, right?! After making my first batch of accidental grey play dough, I started using liquid watercolors and the Wilton colorings. I’m not sure if you’re still up for trying to correct this batch, but you could try buying another pack of food coloring and just adding in blue or red to overcorrect the color. No guarantees that it will work, but it probably couldn’t hurt. When we had that funny grey color, we just went with it until I had time (and energy!) to make another batch. Good luck and thanks for the question. My kids, extended family & I had a great time with this! Â I forgot to add the oil until after we played with the finished product but decided to add a little olive oil to each of the colors and it turned out great! Â I also used target generic food coloring and all the colors turned out pretty good except red. 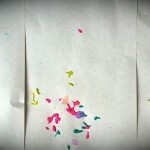 Â Next time I’ll use kool-aid and let the kids roll it in glitter. Â I was amazed with how much dough this made. Â Thanks for the great recipe! I’ve never tried this without oil, but glad to hear that it could work that way too in a pinch! 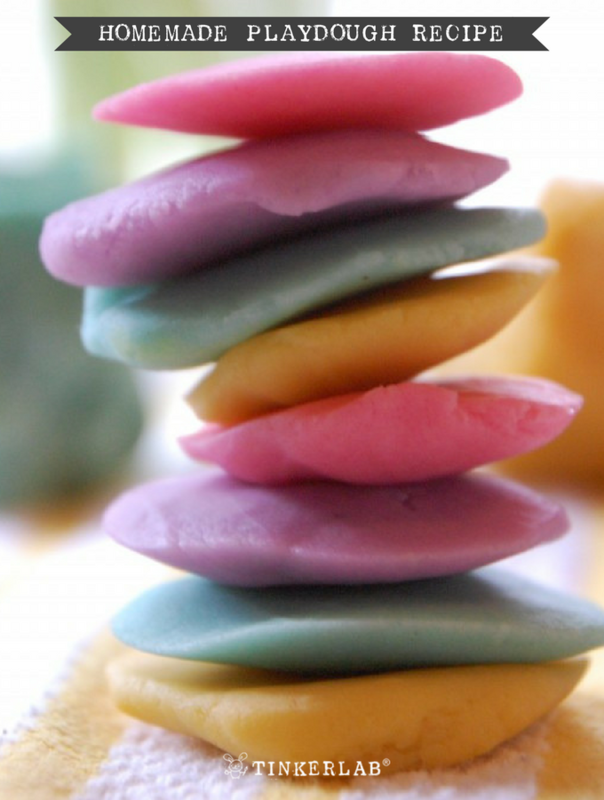 All food coloring is different, and it takes some experimenting. Kool Aid and glitter would be a fun combination to try out too. Thanks so much for the lovely comment – you made my day! Hi, we made play dough for the first time ever today using your recipe and it worked great, thanks so much! I love your gorgeous photos too. Â We made chocolate orange play dough with cocoa and orange extract, and lemon play dough with yellow colouring and lemon extract. Â Mmmm! Love your blog! 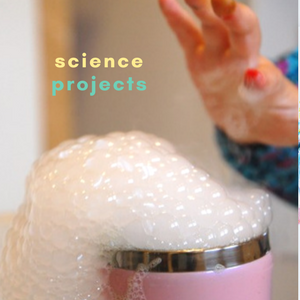 Planning to make this soon. The recipe calls for 1 1/4c. of salt. Just to clarify is that 1 1/4 cup of salt? That’s exactly right! 1 1/4 cup of salt. I like your toddler’s interpretation — kids can be so open-minded! I haven’t had this happen but I have a couple thoughts. Maybe the flour you used needs to be sifted for lumps. Or perhaps it heated up too fast and you could lower the heat to cook the dough more evenly. If you try it again with any success, will you let me know what works? Hi – i LOVE your recipe. I’ve made it several times now and I always have the same issue though with making PURPLE dough! I use the Wilton Gel colors you recommend and no matter how much — or how little — purple I put in, it comes out like a dull navy blue. Could it be I got a bad batch? How much purple do you put in? This is a big deal in my household because my daughter, of course LOVES purple! My purple always looks blue on the first day, but matures to purple after a day or so. Have you noticed that or no luck? 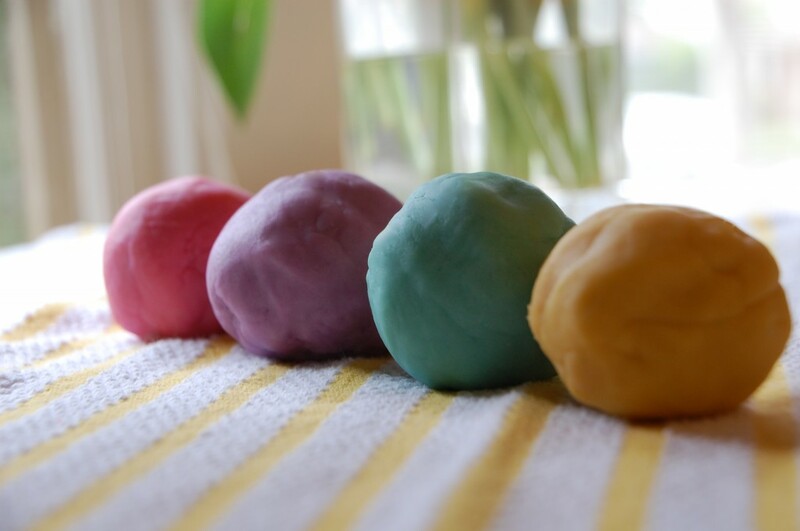 Have you tried making play-dough using conditioner and corn starch? 1 part conditioner and roughly 2 parts cornstarch. Just mix together… That’s all…. Easy, soft and smells divine! Im so happy to learn the “grey” play dough secret! I actually WANT grey playdough! My daughter and I are doing a solar system project and I was trying to figure out how make make grey for the moon!! I purchased black hoping if i only used a tiny bit it would make grey! Now I’m going to mux red and blue! Yay! Thanks!!! Hi. I’d love to try this recipe, looks amazing. But cream of tartar is not available in Switzerland, what replacement can I use to get the same result or similar? Thank you for sharing. I don’t know of a good substitute for cream of tartar, but I just looked this question up and found a forum where someone asked this very question. The answer sounded promising: “I get mine at the pharmacy. Just ask for Weinsteinpulver.” Will you let me know if this works? If you want an even quicker result without risking any lumps, simply add boiling water from the kettle instead of cooking the whole lot on the stove. It works brilliantly! I, too, love using Wilton colours for my playdough. With more than one child, they never agree on the colour! I use the gel colours, and mix them in after cooking. I take it one step further and get each child to pick out Body Shop Home Fragrance Oil. Our playdough smells great, too! Oh shoot, I think I misread the ingredients. I put in, 1 Cup salt + 1/4 cup of salt, to make 1 and 1/4 cups of salt. Your really meant just a 1/4 cup of salt? Also I put in 1 tbsp cream of tartar + 1/2 tbsp cream of tartar, but did you mean only to put in 1/2 tbsp cream of tartar. Just checking so I will do it right next time, we also got too much food color on our hands, so next time I will wear gloves while mixing in the colors. Please clarify on the amounts so I can get it right next time. Thank you! The cream of tartar actually acts as a stiffener for the dough, and the absence of it might be why your dough is getting sticky. It may be too late for this batch that you’ve already made, but you could do a search for cream of tartar in your pharmacy! It also goes by the name “potassium tartrate acide” and I understand that some European pharmacies carry it. Will you let me know if you have any success finding it? 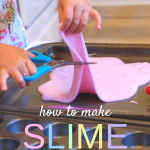 Such great, easy, fun recipes for your kids to make. I made some of the play dough for some of the kids I babysit and its awesome! Not hard play dough at all (like the store bought type) and I have made it before (the same recipe) and it lasted four months! But, we didn’t leave our sealed air tight and when I made it again it lasted longer! (cause I still have it). Thanks again. Such fun things for kids to do on this website! Thank you for taking time to leave such a the thoughtful and kind comment, Anna. I’m so happy to hear that this recipe worked so well for you and the kids you babysit! Hello! My son loves this play dough. We left three months for a vacation and when we got back, the dough had gotten very sticky. Anything I can do to salvage them? 🙂 Thank you! This has happened to us, and I usually opt to toss it. Sorry. 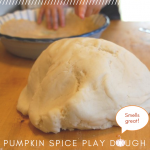 You could try to add flour or cornstarch to it? Thanks for the lovely recipe. I’ve just finished making it for my 6 and 3 year olds who are now happily playing at the kitchen table. It’s been fun experimenting with different colours too. Thanks again! You’re so welcome, Jennifer! I’m thrilled to hear that this worked well for you all. Cheers! OMG this is amazing. I have tried 15 different recipes and all have failed. You are a god send! Yay! I’m so glad that this one worked for you, Cortni. do you have to put that much salt? Yes, I believe so. However, I’m all about experimentation. If you alter the recipe with success, please let me know! Thanks for sharing this recipe. I’ve made it many times over the past few years to send to school for my daughter’s classroom. Her teachers love it for indoor recess! I want to make this recipe, but I am a little worried about putting the effort into it and not having it work. I tried a “no cook” recipe and I thought it was great at first but then after about 10 minutes of my kids playing with it, it became very sticky. So I added more flour, but again after about 5 minutes it just became super sticky again. I had to keep adding flour to it each time my kids would play with it. It seemed that no matter how much flour I put into it, it eventually turned super sticky. How about your recipe? Is it more like the store bought stuff, in that it doesn’t turn sticky every time? Is that the difference between the playdough you cook and don’t cook? Worry not, Emily. This is a no-fail recipe if you follow the directions. 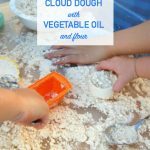 I don’t have a lot of experience with no-cook recipes and every pre-K teacher that I know uses this recipe. It’s brilliant and just like the store-bought stuff. In fact, it’s so good that I included the recipe in my book. If you try it, please circle back and let me know how it went. Absolutely true – it was error free just by following the directions! 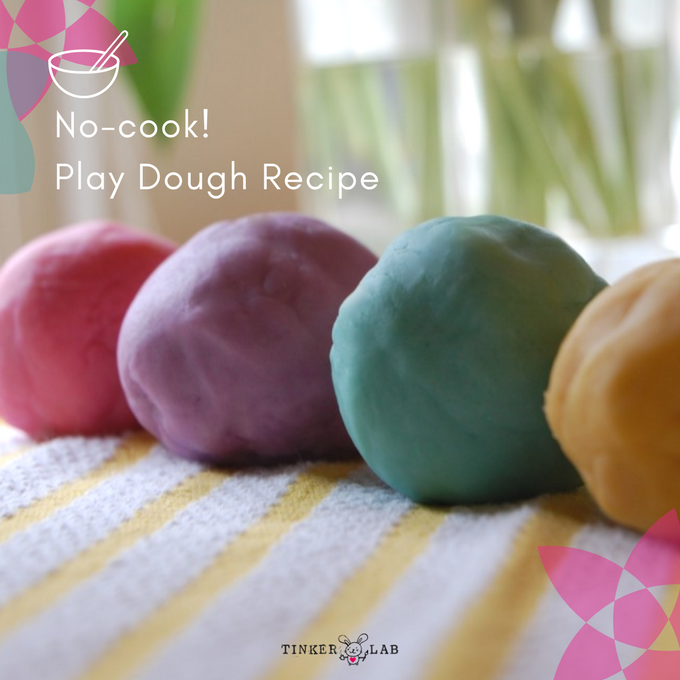 I had never heard of cooking play dough, but this dough is fabulous and easy! We did add a little glitter to make it sparkle. So fun. Thanks for sharing! I love the fact that I can make more than one color at a time. I just got done making this for my son, and he loves it! 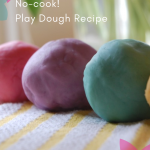 I posted this page on my blog a few days ago and I’ll be updating it with pictures of the playdough I made. Thank you for this recipe!!! When I read good blogs like yous I like to make sure I thank the writer, so Thank you. 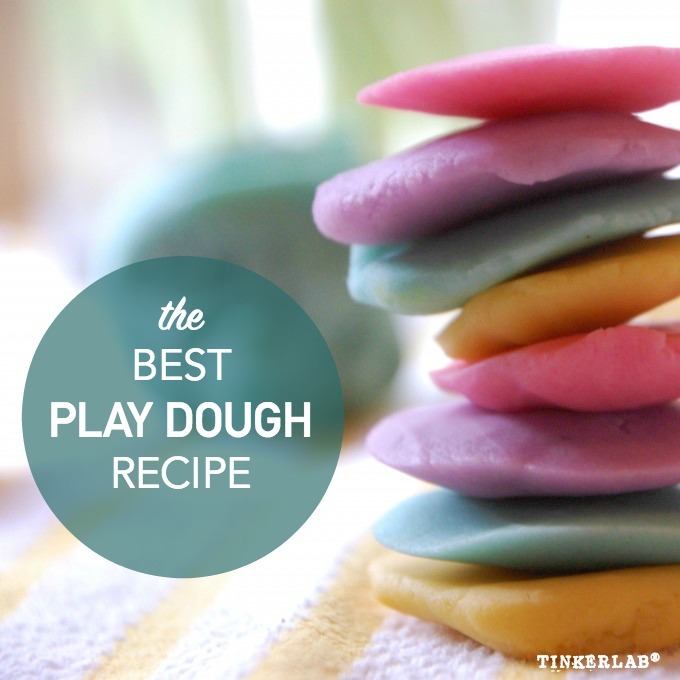 This really is the best playdough recipe I’ve tried. Thanks so much! It’s a winner. This was perfect! I needed a recipe that made a lot to stuff large plastic Easter eggs. Using Young Living Essential Oil ( because it’s what I had) I made scented colored dough to match the eggs. Lime green, lavender purple, lemon yellow and orange orange. The recipe stuffed 10 eggs-exactly what I had! Ok, what did I do wrong? My dough has little white spots (clumps in it). It looks like it has chicken pox 🙂 I’m sure my daughter won’t mind but I do! Haha! Can I use coconut oil at all instead of vegetable oil? Would it change the consistency? Hi Tarsha, I haven’t made this with coconut oil, but I bet it would work. I imagine that if the dough gets cold it may be more firm. It’s definitely worth trying. Will you circle back if you make it and let us know how it went? Has anyone ever doubled this recipe? Does it work just as well?